This month’s question posed for the participants in the blog archaeology Carnival over Doug’s Archaeology is fairly flexible, I have chosen; what was your most significant post? 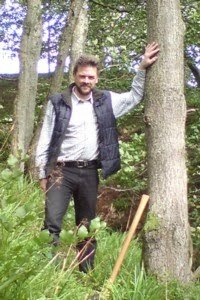 In terms of its significance, Hadrian’s Timber Wall is the post that stands out, as it encapsulates everything about this blog and why I created it. It is not even in the top 10 most read posts, or as contentious as those about Class Ei buildings like Stonehenge , but the Timber Wall was a totally new concept, an unexpected research bonus, which got worldwide publicity. From the blogosphere via my local paper the Hexham Courant, it found its way into various media including the BBC and even made cameo appearance on the History Channel. Recently, I met someone who had been involved at the time, who was surprised that it had not made my career; sadly, it probably had quite the opposite effect. Until July 2008 I was unaware that there were postholes in front of Hadrian’s Wall, but this was precisely the type of evidence I had been researching, and, intrigued by their layout, I took a close look at them. The result was a rather scruffy analysis of the Buddle St postholes which I circulated among colleagues at TWM and Newcastle University, [reproduced in Appendix below]. 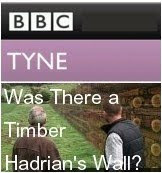 This was genesis of the Timber Wall, and for a fleeting moment I imagined there was a possibility of it being part of the 60th Anniversary Limes Conference, to be hosted by Tyne and Wear Museums with the University the following year. It was never going to happen; whatever the merits of the case, the latter had effectively blackballed me, and, while the former had subsequent made me redundant, far more importantly, TWM was the proponent of the theory that these postholes represented a system of obstacles [or cippi] [2,3]. Whereas archaeology in the field is about team work, academic life is not, and those who contribute to the existing Roman Wall narrative didn't appreciate an uncalled for contribution from an outsider rocking their navicula. 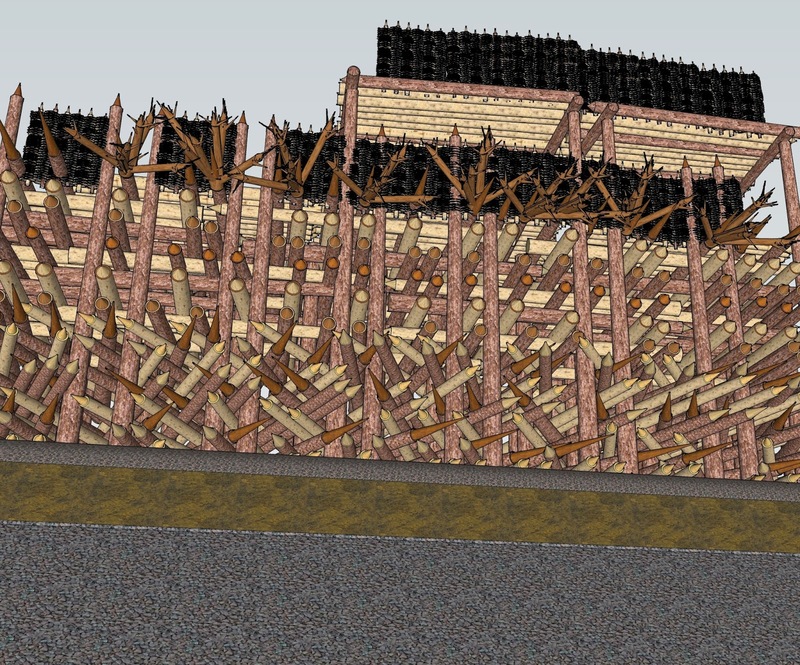 A 3D SketchUp Model of the Timber Wall projected from the archaeological plan recovered from Shield Roads, Byker, viewed from the North. How do you deconstruct the existing narrative, when to do so is to criticise the reasoning of its proponents? Having a secure position in the academic community is a good start, but failing that knowing precisely what you are talking about will have to do. 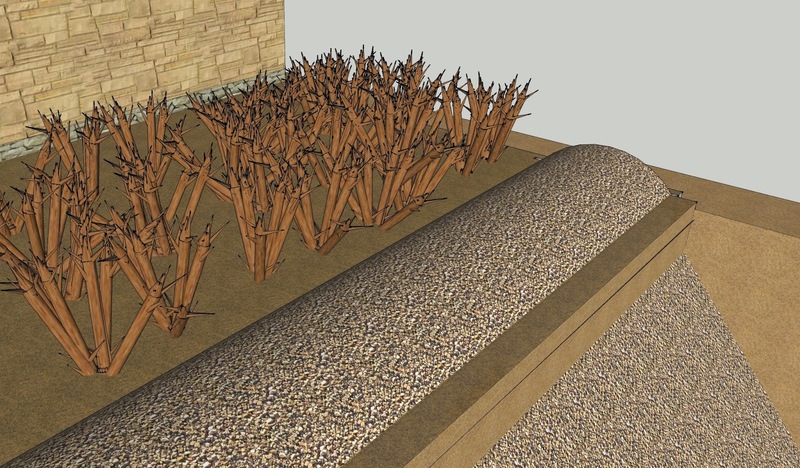 Paul Bidwell had proposed that these features had been dug to contain an entanglement of sharpened irregular timbers in front of the Wall,  [which I have attempted to reproduce as a 3D SketchUp model left and below]; Which were like those described by Caesar and referred to as “cippi”. There are three main reasons why this analysis is wrong; firstly, trees don’t grow that way; secondly, the association with “cippi” is erroneous; thirdly, it is of no practical military benefit. It did at least offer some explanation for the width of the berm between Wall and ditch; the widely held belief that this was for structural stability is baseless, since you could push the wall over and it would hardy reach the ditch in most places; the Romans were simply not that ignorant of basic engineering. In most places the double “post” pits are very regular, some with impressions of circular posts, and incompatible with idea that they held irregular timbers, which by its very nature is irregular. 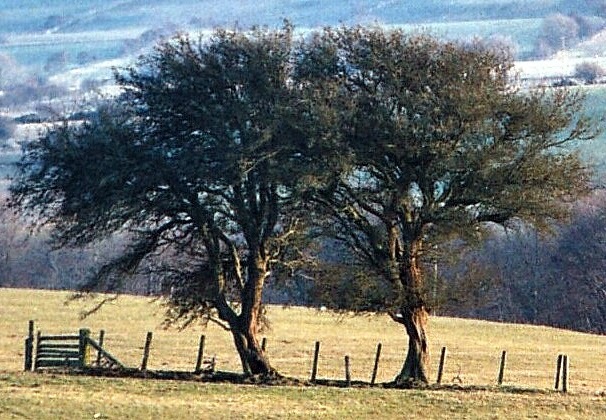 While such trees might be found, not necessarily in the quantities and locations required. In his account of the siege of Alesia 52 BC, Caesar describes how his troops created temporary entanglements by burying logs branches attached with other irregular and sharpened limbs in 5” deep trench, which was backfilled to prevent them from being undermined, . Lines of these thickets of sharpened branches were positioned some distance from the rampart, and were designed to slow attackers down and channel them into fields of fire, were known as cippi by Caesar's troops. “Cippi” in regular holes would be easily pulled up, and their presence in front of a permanent Stone Wall is pointless, as they would rot and become overgrown. The whole association cippi was not helpful, and not unlike like Bede christening “The Vallum” – which it is not; ironically, a Vallum was a timber rampart. [from Vallus – a stake]. The Timber Wall was posted in July 2009, since then, I have built better models in 3D, managed to set it a broader context, and strengthened the case considerably, although my approach is primarily about reverse engineering individual structures. 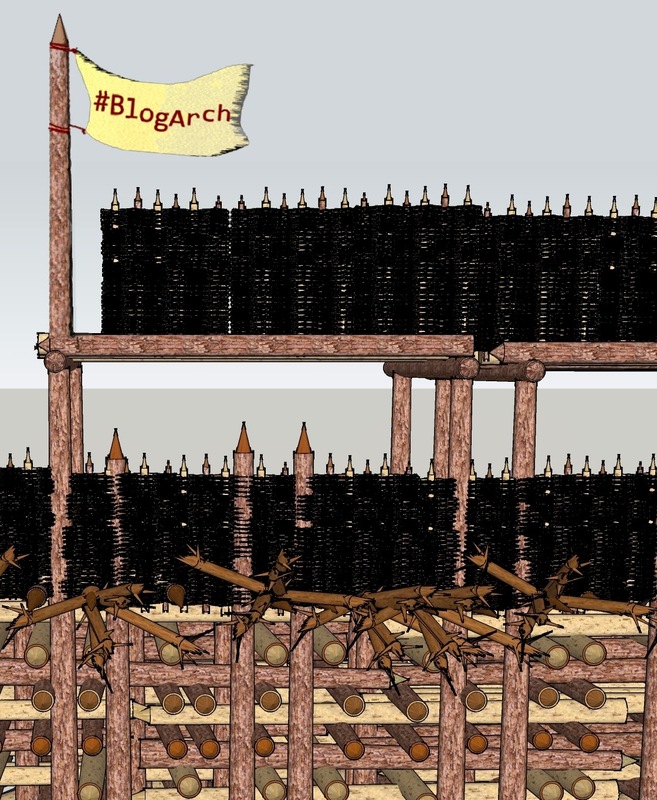 This 3D SketchUp Model of the Timber Wall projected from the Shields Road, Byker plan shows discrete layers of diagonal and rectilinear baulks with a parapet, wicker battlement and second fighting platform. The Timber Wall explains how, and to some extent why, the Roman Army built the Wall, which had previously been slightly ambiguous; the fact that they had the leisure to build such a structure had suggested to some it was a token effort, more of a customs barrier. However, more recent scholarship had realised that a variety of lines of evidence suggest that far from being a pacified area, Northern Britain was a war zone in this period , a case strengthened by the building of a temporary Wall. Further, it explains why there is a wide berm with an early ditch with a bank to the North, and why there is a Turf Wall. A 3D SketchUp Model of the Timber Wall at Shields Road showing a restored ground surface with the Ditch and Bank. The technique of rampart building is mentioned over forty times by Caesar in Gallic wars , and was a very standard procedure for troops, used when it was necessary to take up a static position, as discussed in Epitoma rei militaris ; although the key insight comes from Polybius Histories  [Discussed here]. 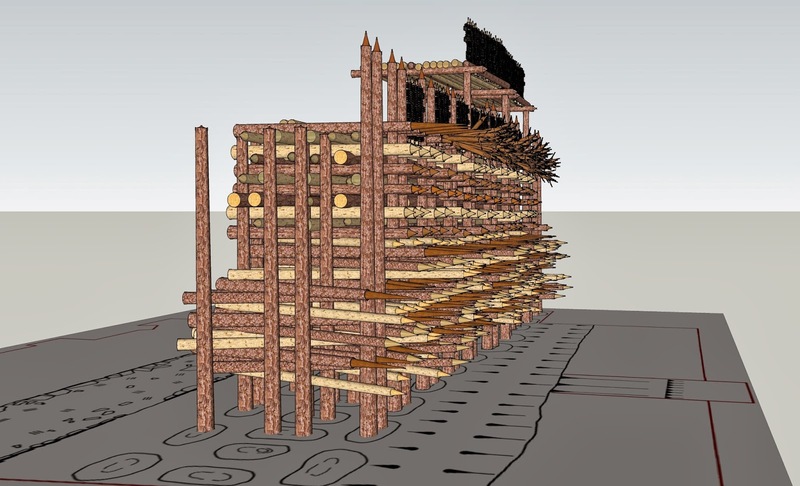 Caesar’s standard rampart is made from timber 12 feet high, with a ditch in front, it also had wattle battlements and a projecting parapet of sharpened branches. There are also frequent towers, and galleries are also mentioned, allowing defenders to concentrate their fire from more than one fighting platform while protecting those underneath from projectiles. The Roman Wall had to be stone because it was intend ended as a permanent barrier, timber structures have a limited life, but are perfectly good for couple of seasons and were the typical response to holding any sort of position in potentially hostile territory. Remarkably, in the original analysis of the postholes found at Buddle St [reproduced in Appendix below], I got the gist of it at the fist attempt, and most of what is wrong with the first "Hadrian's Timber Wall" was a matter of omission. I hope to improve the existing model, and consider other Roman Military structures later this year. To put forward a new solution to an archaeological puzzle is to imply that the existing explanations are wrong, and this is always difficult, and while the blog is not an ideal forum, it is at least equitable, free and accessible to all. A full summery of this particular research is available here. Timber Structure at Buddle Street, Wallsend. A: Plan from Buddle St, Wallsend. This is a basic structural analysis without reference to the archive; these are some initial observations on the posthole structure. While the posts form the vertical elements, the spaces between them are occupied by horizontal timbers, creating both faces and the internal bracing. This appears to be the remains of a prefabricated timber wall, constructed to protect sections of the wall under construction, then dismantled and moved. The design would be modular, with timber baulks of a size that facilitates their transport and handling. For ease of dismantling the spaces between timbers not necessarily filled with earth as would be the case in a ‘box’ rampart. This was originally proposed by Tim Darvill, in ’Neolithic houses in northwest Europe and beyond’’ (1996) Neolithic Houses in North-West Europe and beyond (Oxbow monograph 57) [Paperback]. T.C. Darvill (Editor), Julian Thomas (Editor); I have merely demonstrated he was correct. What is in these people's heads, Geoff? I despair. If you're going to get your squaddies to howk out a load of holes for dimwitted, dyspraxic brittunculi to somehow blunder into en masse, in a kamikaze frontal assault on a vast military fortification which would have made "Saving Private Ryan" seem like "Mansfield Park", then you are sure as eggs not going to cut them precisely at those intervals, to those exact specifications, and with that curious, faintly bilobate plan. And personally I'd make them a fair bit deeper, like neo pit alignments (non-military, sure. I know what they do, and it ain't ritual, nor what for ex. Francis P. thinks either). Bottom line, ignorance is curable. Stupidity is not. Just tell everybody else sensible, that's not a crippleheaded (can I say that in here?) uni archaeologist. How'd the engineers from that conference down south take your evidence in the end? With the plan thing, I was thinking of the rows of holes at Rough Castle on the other Wall, claimed as "lilia". What did you make of them? Hi - appreciate the sentiment - knowledge is remarkably political, and faith based in many respects - one of my colleagues was truly shocked that I would dare question an "Roman expert"; but its about posthole / timber engineering not simply Roma Military archaeology. But it's worse than that; in your part of the world and the other Wall there are 'defensive pits' on the berm, the "Scots" being so stupid they are going to small 'pits' spaced 6' apart. And there is "Lilia", the lily shaped holes narrowing to a wooden spike, - also represented in Scotland by large double post pits - perhaps they had very feet in those days. I gave my paper on Prehistoric roof structures in front of a small group that included a professor of mechanical engineering, he seemed OK with it. My work sense to Colleagues in the States who build reconstructions, because they can't get away with just imagining things. PS. I think I Know what Neolithic pit alignments were, so if you have a plan - I have a theory to test. I don't understand why they would leave a bank for the opposition forces? This gives then a tactical advantage to having no bank at all or building the their structure on top of the bank. 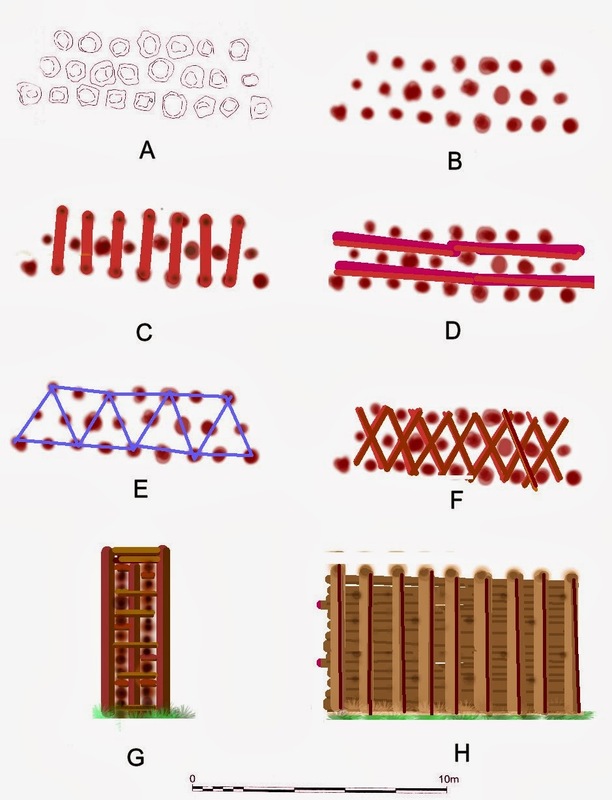 Is this an earlier structure? In this particular case it is because this rampart was only intended as a temporary measure, which would be dismantled once the Wall behind was complete. Filling or building up the rampart with soil would have made this more difficult. More generally, there is also a school of thought that sees value in counterscarp banks, because they make it more difficult for an attacker to escape from the ditch; this is the killing zone, and you are most vulnerable when try to get out of it - if your back is towards the defenders. [This is the strategy of the "Punic Ditch"]. This sketch up is stunning. I have ignored it before as its after the period of British history I pour over . Having written records to research must have been a great help in honing the rampart and associated military layout . Is Navicula something to do with a fleet of Roman war ships? 'verum in mundo' as the Celts almost used to say. Around 2900ishBC I am currently thinking there were a number of smaller wooden structures on the SH site possibly used for different purposes and not just a single 'temple'type structure . One of the buildings could have a charnel house , inside the ditch and bank . Any idea why there would have been a sizeable stone at the centre of a neolithic building again around 2900BC? Mr W Hawley also found evidence of small fires within one of the sets of post holes. Interestingly back to the Roman period he also found a number of coins and images of Tetricus and an amount of Romano British pottery and associated Roman items . The Roman occupation period of SH is a bit of a dark age in SH history as far as I am aware . SketchUp has changed the game for me [ that and my family buying me a better computer]; when I started using CAD, 24 years ago, it was unbelievably slow, complex and not user friendly - you interfaced mainly with command line. I had feared for my research when Newcastle University had no CAD, and subsequently, finding a technical partner to help, also looked a non starter. As it deductive reasoning, you have to make mistakes and discard models, so being self-sufficient in CAD is a great relief. Charcoal in a postholes is probably either, wood from the post - which could be charred to inhibit rot, or fragments of decayed wood - which looks just like charcoal. In general, "rubbish" in a posthole is likely to be residual [already in the topsoil, or got there after the post was removed or rotted away. some British archaeologists seem to believe that our ancestors worshiped [posts] and made offerings to them, this explains anything found in posthole; see "Structured Deposition" / "Timber Circles". "Sacredness" [and monuments] have to monetised, this often entails specialized built environments - as in "
most religion involved killing animals, and even High priests have to take a bodily needs. No idea about stones; but please remember large postholes are thought to contain a stone because - they have stone chip[s] in the fill - QED! Stone of Scone is an interesting piece of rock and worth thinking about.